What did Lindsey think of her biological father? 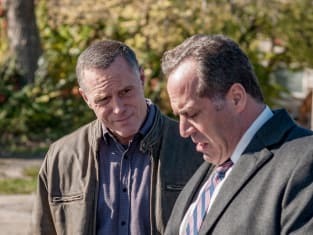 That was a key question on Chicago PD Season 4 Episode 10 when she decided it was best to just meet him to find out what he had to say. Meanwhile on this hit drama series, Voight welcomed a new member to the team, but what was their hidden agenda? Also, Ruzek went on a solo mission that sent him deep undercover. Use the video above to watch Chicago PD online to get caught up with the latest drama for the characters. Voight: That's Kenny Rixton, he's Ruzek's replacement. Voight: Ruzek's replacement. I'll fill you in later. Permalink: Ruzek's replacement. I'll fill you in later. I wasn't there for you then but I'd like to be now. If you'll let me. Permalink: I wasn't there for you then but I'd like to be now. If you'll let me.